W. Kirk Wood was born in Portsmouth, Virginia in 1943. He earned a B.A. degree in History at Frederick College in 1968, followed by an M.A. degree in History at Virginia Polytechnic Institute in 1969. After service in the U. S. Army between 1969 and 1971, he entered the University of South Carolina in 1971 and completed his Ph.D. in 1978. Dr. Wood has been a Professor of History at Alabama State University since 1986. His dissertation is entitled The Union of the States: A Study of Radical Whig-Republican Ideology and its Influence upon the Nation and the South, 1776-1861. 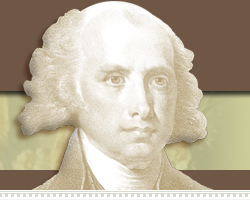 Dr. Wood has published numerous articles about historians of the past, including U. B. Phillips, Frank L. Owsley, George Bancroft, and Alexis de Tocqueville, and on issues relating to John C. Calhoun and Nullification in South Carolina. In addition to one book, A Northern Daughter and A Southern Wife (1976), he is now publishing Nullification, A Constitutional History, 1776-1833 in four volumes. Although American and Southern United States history are his primary research interests, Dr. Wood is a lifelong student of world societies and civilizations whose first love is teaching young people. Not content to relegate his classroom duties to graduate assistants, he prefers — and insists upon — teaching all of the freshman courses in addition to his higher-level classes. In the classroom, Wood encourages his students to follow news and current events to gain a greater understanding of broader historical trends. He lectures often about the inextricable link between current events and history and has been known to record Jay Leno's current-events-loaded monologues from NBC's The Tonight Show and deliver portions of them the following day in his classes. Another of Wood's favorite historical pursuits is the identification of myths in history, an avocation which, after the publication of Nullification's four volumes, he hopes to institutionalize in what he plans to call the Center for the Study of Myth. Historical myths abound in every age, culture and civilization, and ours is no exception. Wood believes that understanding the formulation and perpetuation of myths in history is critical to interpreting the events of the present as well as the past. In addition to teaching and researching, Wood enjoys spending time at his Lexington, South Carolina home with his wife of 47 years, Marcia, also originally from Virginia. They have two adult children, Doug Wood and Fran Breeding, and two grandchildren, Ryan and Jack. 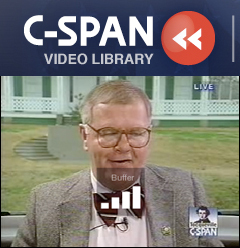 In 1998, Dr. Wood was a special guest on C-Span during the network's year-long "Alexis de Tocqueville Tour." Against the backdrop of Old Alabama Town in Montgomery, Wood took calls from viewers and discussed de Tocqueville's observations from his travels in and around Alabama. Click here or on the picture of the video above to watch this 29-minute discussion.